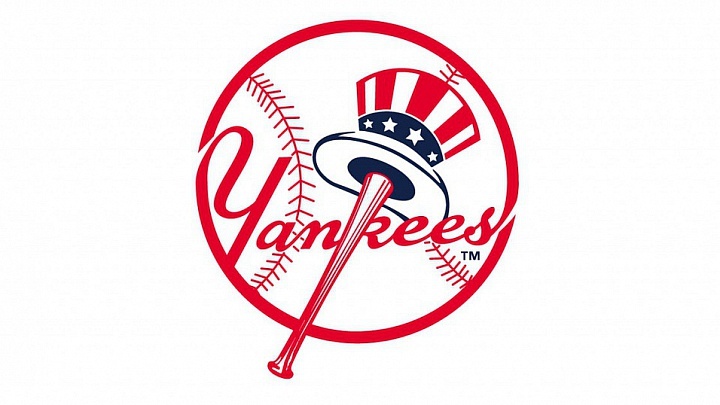 John Philbin is completing his seventh year of work in professional baseball including six (2009-2015) as the Head Major League Strength and Conditioning Coach for the Washington Nationals and one as Strength, Conditioning and Rehabilitation Coordinator for Player Development for the New York Yankees. A native of Rockville, Maryland, John has had an extraordinary career as both a player and coach in both amateur and professional sports. A 1975 graduate of Peary high school in Rockville, John earned three letters each in baseball, football, basketball and track and field. Upon graduation from HS, John enrolled at Frostburg State University in Frostburg, MD where he captained the football team and earned All-American Honors in the Decathlon (Track and Field) before graduating in 1979 with a B.S. In Physical Education and Health. His honors at Frostburg did not stop upon graduation as he was inducted into the Frostburg Hall of Fame in 1986. After graduating from Frostburg, John enrolled in the master’s program at the University of Maryland where he served as a graduate teaching assistant, Assistant Strength Coach (1979-82) and earned a M.Ed. degree in Physical Education and Administration in 1982. He was also an Assistant Strength Coach with the Washington Redskins, a position that he held twice. The first time from 1981 to 1982 and the second from 1993 to 2000. John was a member of the 1983-1984 USA National Bobsled team and served as the Head Strength and Conditioning Coach at the U.S.O.C. Winter Sports Program from 1982 -1984 and Head Coach for the Olympic Bobsled Team and Director of Sports Science and Conditioning from 1988 -1992. Among his other ventures into the sports and fitness field include speed and conditioning consultant for the US Sports Academy (1986 – 87), Director of Rehabilitation and Conditioning at the Shady Grove Sports Medicine Center in Rockville, Maryland (1985 – 1986), owner and CEO of four Philbin’s Athletic and Health Fitness Centers (MD.,VA.) (1993-2000), Conditioning and Weight Management Coach for professional boxers (WBA-2001- 2004) and owner and operator of Philbin’s Athletic Training Center (Rockville) from 2004 – 2012. Philbin founded (1985) and is the President of the National Strength Professionals Association (NSPA) which certifies professional strength and conditioning coaches, athletic trainers and personal trainers across the globe. He has conducted courses and workshops in 22 countries, authored a book, High-Intensity Training, Human Kinetics 2004 and is an Adjunct Professor at the University of Maryland’s Kinesiology Department. John holds certifications from the NSCA (CSCS*D and RSCC*E) and was the Maryland NSCA State Director (2012-2015), as well as certificates in Sports Science – Biomechanics, Physiology, Psychology, Nutrition, Metabolic Conditioning and Strength Conditioning from the US Olympic Coaches Association. John and his wife of 30 years, Kazzy, reside in Damascus, MD. His daughter, Bailey, is a member of the University of Maryland Gymnastics Team. His son, JC Jr., is a high school senior who competes in baseball, basketball and is a member of the two-time Maryland State Football Championship HS football team. His hobbies include golf, skiing, writing, working out with his wife and children and spending time with family and friends. 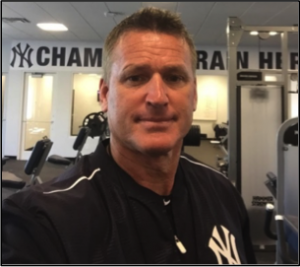 John believes the job of strength and conditioning coaches is to help prevent injuries; reduce recovery time among the injured and enhance each player’s ability to reach his genetic potential for playing the game of baseball. His advice to young strength coaches is to keep up with current research and get exposed to as many different strength and conditioning systems as possible. He recommends that aspiring coaches visit as many different strength coaches as possible not matter what the sport because every strength coach has a unique system in which some things might be similar and others might be drastically different. But they all have one thing in common – “success”. He also encourages coaches to perform speaking engagements (workshops, clinics) and teach during the off-season. Teaching forces you to stay current with research and can help make you a better coach. Be a professional 24-7 on and off the field. Be a good listener and role model for your athletes, staff, family, and young students. Lead by example and earn the respect from those around you and never underestimate the positive impact that you can have on everyone that you come in contact with. Condition baseball players to become better athletes; bigger, faster, stronger, and more mobile and agile. Then let the position coaches teach them how to enhance their baseball skills. Never try to mimic a sports-specific skill in the weight room and always perform double jointed upper body movements with forearms directly in line with the resistance otherwise this can lead to contraindicated results (avoid upright rows, head pulls). Strength exercise – make sure the player is performing “perfect reps” (2-3s positive /pause/ 2-3s negative) and can overload safely to muscle failure when appropriate. Olympic lifts and plyometrics – if the player utilizes Olympic lifts make sure that perfect technique is not compromised and use light loads (50-60% of I RM) with only 3 to 4 precise reps. Because of the risk-reward (hyperflexion elbows, wrist) for baseball players, I do not perform Olympic lifts and take advantage of a wide variety of plyometric applications for core, upper and lower body for enhancing explosive power. Functional (balance) exercise – keep in mind these exercises are not absolute strength or power movements but typically require challenging the neuromuscular system and core stabilization. I recommend numerous progressions of these movements that will challenge the neuromuscular system and constantly challenge the individual player’s athleticism. After 30 years of training athletes, I have learned to individualize workouts according to program goals and the player’s goals, likes and dislikes (modalities and exercises). In addition, I use as much variety as possible to constantly challenge the neuromuscular system and avoid mental boredom. Learn to make adjustments for certain players. I call it the “10% rule” because approximately 10% of players are not physically capable or have pre-existing (genetic) issues that prevent them from performing certain exercises, i.e. squats, deadlifts, leg extensions, Olympic bench, etc. You need a plan to replace those exercises that will not comprise the goals of your program. Baseball utilizes the anaerobic energy system (AES). You must utilize high intensity training applications for both strength (HIT) and anaerobic work (HIIT). During the season, most players will work out for only 25-30 minutes which means that you have to be efficient, effective, and productive.